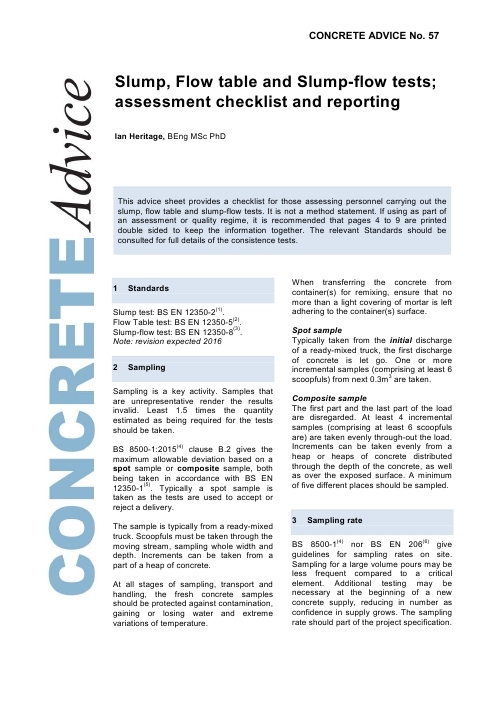 The slump test is a means of assessing the consistency of fresh concrete. It is used, indirectly, as a means of checking that the correct amount of water has been added to the mix. 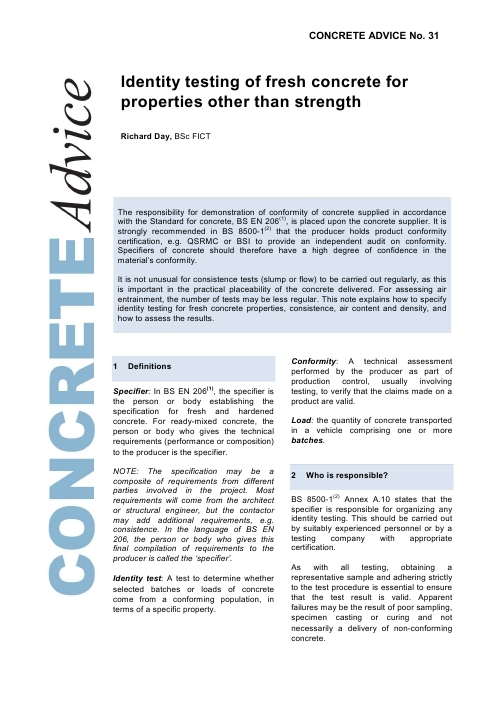 The test is carried out in accordance with BS EN 12350-2, Testing fresh concrete. Slump test. The steel slump cone is placed on a solid, impermeable, level base and filled with the fresh concrete in three equal layers. Each layer is rodded 25 times to ensure compaction. The third layer is finished off level with the top of the cone. The cone is carefully lifted up, leaving a heap of concrete that settles or ‘slumps’ slightly. 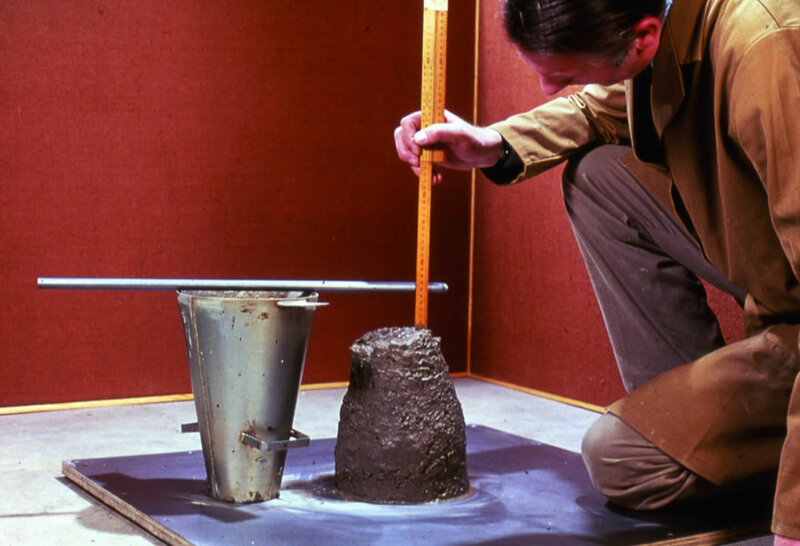 The upturned slump cone is placed on the base to act as a reference, and the difference in level between its top and the top of the concrete is measured and recorded to the nearest 10mm to give the slump of the concrete. When the cone is removed, the slump may take one of three forms. In a true slump the concrete simply subsides, keeping more or less to shape. In a shear slump the top portion of the concrete shears off and slips sideways. In a collapse slump the concrete collapses completely. Only a true slump is of any use in the test. If a shear or collapse slump is achieved, a fresh sample should be taken and the test repeated. A collapse slump will generally mean that the mix is too wet or that it is a high workability mix, for which the flow test (see separate entry) is more appropriate.